What's a writer to do when wounds heal, grief passes, and navel gazing gets old? The Reverie is a step forward into such decidedly un-maudlin musical territory. 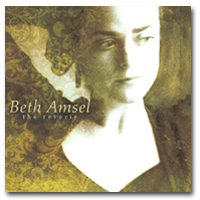 With diverse and irreverent influences spanning classic rock, mid-century pop standards, and early 70's blues influenced country, Beth has created a genre bending album on the morning side of a long night. Produced and engineered by Dave Chalfant (Erin McKeown, Stephen Kellogg, The Nields), the multi-instrumentalist and bass player from folk rock favorite The Nields, The Reverie was born from cross pollination, impromptu collaboration, and very late night inspiration. 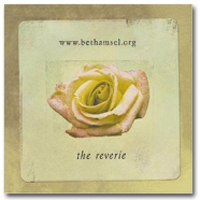 Built around the centerpiece of Dave and Beth's work over the course of 2004, The Reverie includes stellar participation from some of New England's favorite players (Katryna Nields, Lorne Entress, Dave Hower, Jim Henry) and includes Foundations Records/Universal recording artists Stephen Kellogg and Keith Karlson. "The record is testament to the central role music has played in my life, both as a language and as a great source of comfort. It's a reminder of a time when the vinyl LP was divine, " exclaims Beth. 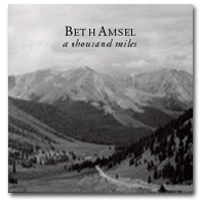 A Thousand Miles, Beth's first album, was recorded in Boulder over the course of a broiling summer in 1997 in the trailer with the Van Gogh ceiling under the protection of a swamp cooler. Produced and engineered by Patrick Brickel (who has worked with Greg Brown, is an extraordinary songwriter with The Mayflies of Johnson County, and runs a fantastic recording studio in Iowa City, The Petting Zoo), it brings together the best of Boulder's musician community (including Grant Rieder of Tony Furtado, Sally Van Meter) and is a hell of a road trip companion. Origianal tape version of A Thousand Miles released in 1997. This is Beth's very first sticker! 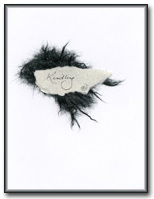 It is 3" x 3", matte design taken from the album artwork. We think it's a beaut. 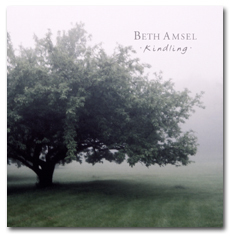 Originally, Kindling was financed through generous pre-orders from Beth's mailing list. As a gift for those who pre-ordered, Beth made by hand 200 special edition books. These one of a kind books include background on each song (the initial inspiration and how they were written), lyrics, stories from the recording studio, and candid photographs of the musicians and instruments. 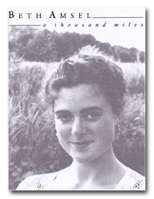 The books were so popular that Beth has now made a limited run for general sale. Each is signed and dated. A small handmade book containing the lyrics to the songs on A Thousand Miles, including the bonus track, "Sadie".